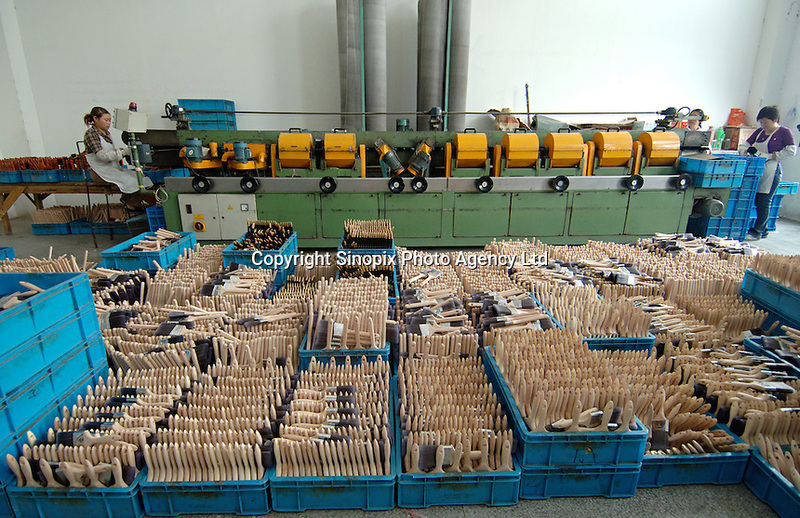 Some of the thousands of brushes produced daily sit in front of a sanding machine at one of the most successful brush manufacturers in the world. The Yixing Zhenxin Made Brush Co. Ltd produces a staggering 220,000 brushes every day using relatively non-high-tech but labour intensive methods for a variety of domestic and international clients. International clients include the home Depot, Wallmart and ICI to name a few..